As the world reacts in shock to the deadly and violent Guatemala, Fuego volcano eruption a 5.5-magnitude quake rattled Big Island on Sunday along with a 500 smaller quakes, the highest number yet since the eruption began in a 24 hour period. The quake rumbled in an area near Kilauea Volcano just before 4 p.m., sending an ash cloud 8,000 feet into the air. The mag 5.5 is not technically a quake but an explosion which feels like a quake. 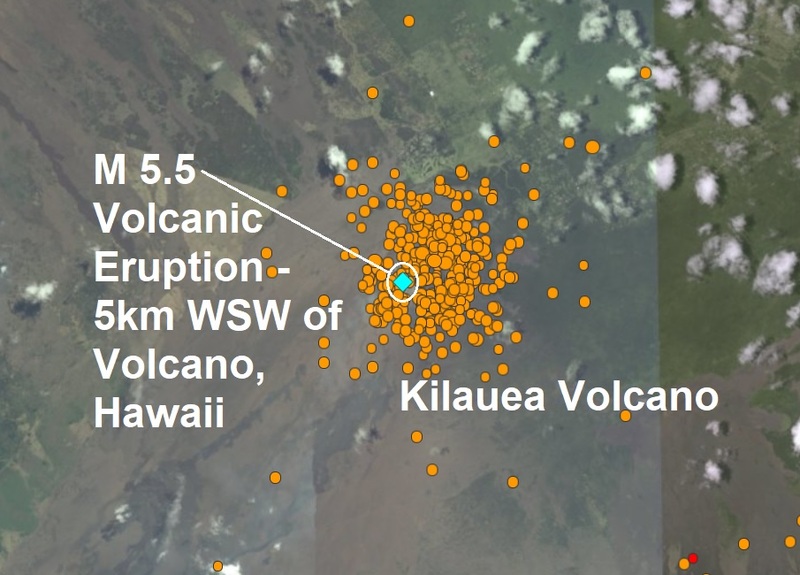 According to Hawaii News Now.com, As of 11 a.m. Sunday, officials said 500 smaller earthquakes were recorded near the summit within the last day — it's the most earthquakes recorded in a 24-hour period on Hawaii Island.